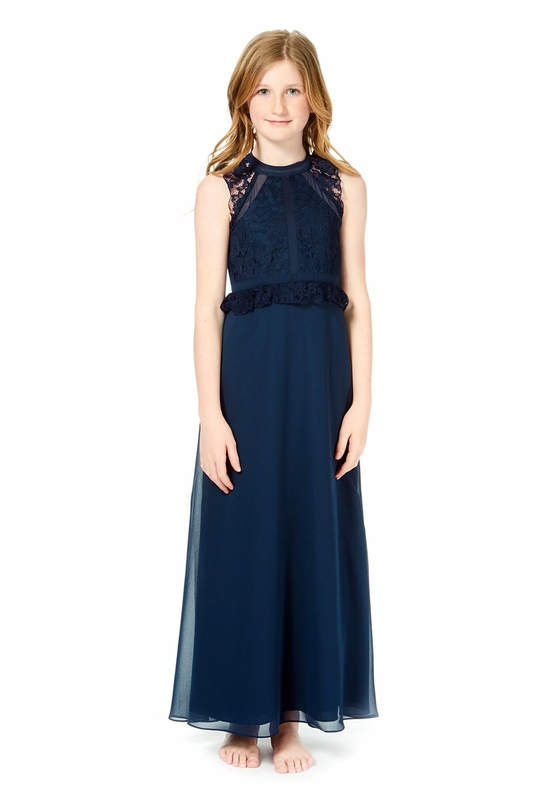 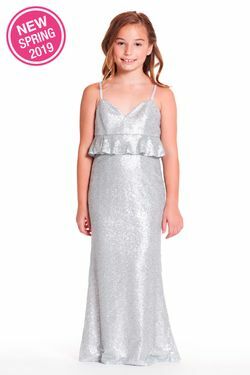 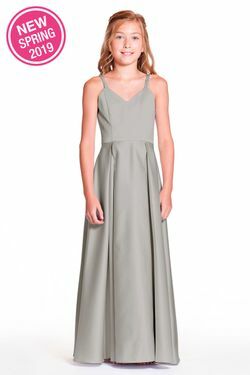 Bari Jay Junior Bridesmaid style 1854 JR - Sheer panel bodice with high neckline and flutter sleeves. 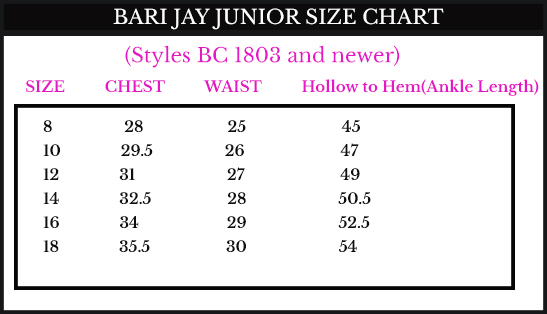 Maxi skirt with full zipper at center back. 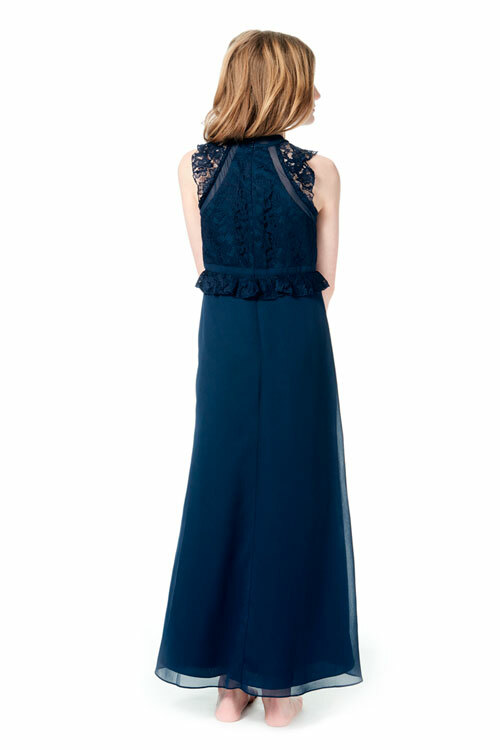 Solid Lace colors only.